This week’s Photo Challenge is Juxtaposition. It’s the Vernon C. Bain Correctional Center, the Rikers Island prison barge. This entry was posted in Kayaking, New York City, Photography and tagged Juxtaposition, Kayaking, New York City, Photography, postaweek, postaweek2014, Prison, Weekly Photo Challenge. Bookmark the permalink. Perfect for the challenge. Thanks for sharing. You are most welcome, Nancy—thanks!! Oye. 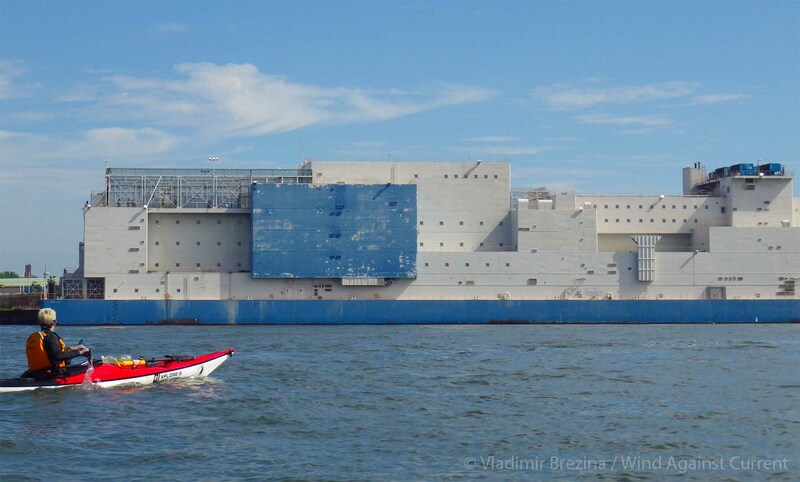 A prison barge. Shades of Alcatraz. Sobering sight. Thanks for visiting me other stuff – you’re the first! So I see – thanks! Awaiting Day 2 for visions of moderate temps, water w/o ice, etc. Stay warm! bless you… may you paddle never slip & your camera never drop! How much better to be free to savor the pleasures of life! A unique take on the challenge. I like it very much. Very good and thought provoking take … I like it! Exellent post Vladimir, several juxtapositions in that photo! 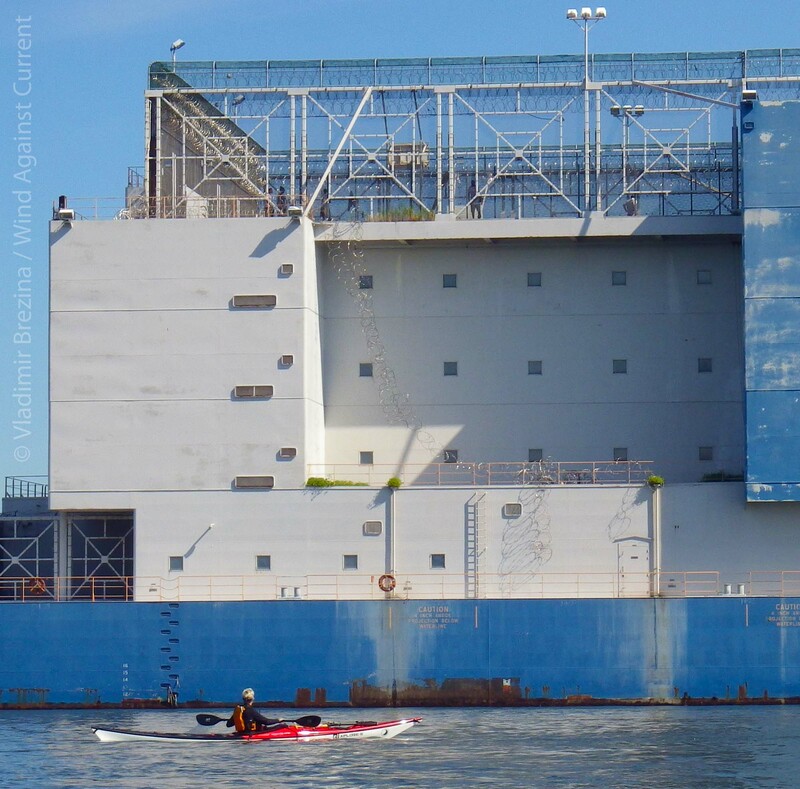 Juxtaposition – your freedom on the river and theirs imprisonment. I’d take the freedom any day. Great photos as always. Yup, that’s some serious juxtaposition there. Nice one. Wonder what happens when the ball bounces too high……. You know it’s funny I made the picture bigger to see if there were any basketballs stuck on the wire : ) I can only imagine watching you hurl back those balls! Okey dokey! I would LOVE to see this in action! I know but the thought and mental picture is really funny! He was courages and can you blame him? Your photo is truly a study in contrast. I thought so… Thank you, Imelda! !